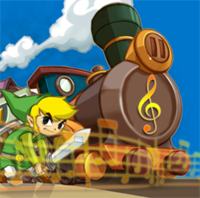 As some of you might have seen, the site has recently published a top 10 list of our favorite Zelda tracks. Having been a huge fan of the music of the series for many years now, and a musician myself, it goes without saying that I was quite fascinated with the article, even though I might not agree with all the choices myself. So, in that spirit I bring you now what might end up being part of an ongoing series of articles: Zelda music track picks and reviews. When thinking about which track I should pick for the article, it took me only a few minutes before making my choice—the Kakariko Village theme. Step inside for my thoughts. Like many, I first heard this song in A Link to the Past while I was still a kid. The song grew so much on me that I can now turn on that one game, go to Kakariko, leave my controller, lay back, close my eyes and drift off. It’s extremely rare for a song to make one feel as comfortable as that particular tune. Those with sharp ears among you will notice though that I have chosen the Ocarina of Time version of the song for the video above. While both the Ocarina of Time and A Link to the Past version were both breath taking, the prior gets credit for not using 8-bit tunes. What makes this particular piece special is pretty much the backing guitar—simple yet effective. A clean, mellow theme with just enough variation to not feel stale. I do not have to waste any words on the lead theme—everyone and their mother know it by now. The lazy melody is awesomely rounded off with a backing flute which one doesn’t even notice at first. Listen closely and you’ll notice the beautifully arranged duo. Or on other hand, don’t. Just lay back and let the music carry you away. I wanted to finish this article off by saying that if you enjoy Zelda music then you should have this song on your playlist, but then I realized that such a thing is not necessary—you already do. If you don’t, then I don’t acknowledge your existence and it doesn’t matter either way! To close, I’d like to take this chance to announce another type of article I plan on doing in the near future: Zelda music guitar instructions, presented to you via video. I will be showing you how to play some of the most awesome tracks from various Zelda songs. Assuming I manage to pull everything off, I will be taking requests in the near future so that you can decide which songs you want to see. Stay tuned for more and expect the first video within the next 10 days!